By using the Guo-Krasnosel’skii fixed point theorem, a Dirichlet boundary value problem with sign-changing nonlinearity is discussed and some results of existence and multiplicity of positive solutions are established. Berger, H. (2008) Existence of Nontrivial Solutions of a Two-Point Boundary Value Problem for a 2nth-Order Nonlinear Difference Equation. Advances in Dynamical Systems and Applications, 3, 131-146. Anderson, D. (2003) Discrete Third-Order Three-Point Right-Focal Boundary Value Problems. Computers & Mathematics with Applications, 45, 861-871. Anderson, D. and Avery, R. (2001) Multiple Positive Solutions to a Third-Order Discrete Focal Boundary Value Problem. Computers & Mathematics with Applications, 42, 333-340. Aykut, N. (2004) Existence of Positive Solutions for Boundary Value Problems of Second Order Functional Difference Equations. Computers & Ma-thematics with Applications, 48, 517-527. Bai, D. (2013) A Global Result for Discrete ϕ-Laplacian Ei-genvalue Problems. Advances in Difference Equations, 264, 10 p.
 Bai, D. and Xu, Y. (2007) Nontrivial Solutions of Boundary Value Problems of Second Order Difference Equations. 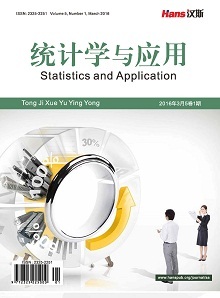 Journal of Mathematical Analysis and Applications, 326, 297-302. Bai, D. and Xu, X. (2013) Existence and Multiplicity of Difference ϕ-Laplacian Boundary Value Problems. 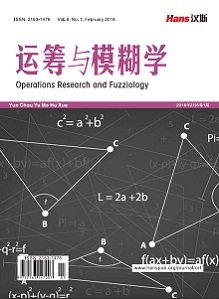 Advances in Difference Equations, 267, 13 p.
 Ji, D. and Ge, W. (2008) Existence of Multiple Positive Solutions for Sturm-Liouville-Like Four-Point Boundary Value Problem with p-Laplacian. Nonlinear Analysis: Theory, Methods & Applications, 68, 2638-2646. Bai, D. and Xu, Y. (2008) Positive Solutions for Semipositone BVPs of Second-Order Difference Equations. Indian Journal of Pure and Applied Mathematics, 39, 59-68. Anuradha, V. and Shivaji, R. (1994) A Quadrature Method for Classes of Multi-Parameter Two Point Boundary Value Problems. Applicable Analysis, 54, 263-281. Anuradha, A. and Shivaji, R. (1996) Existence Results for Superlinear Semipositone BVP’s. Proceedings of the American Mathematical Society, 124, 757-763. Anuradha, V. and Shivaji, R. (1999) Positive Solutions for a Class of Nonlinear Boundary Value Problems with Neumann-Robin Boundary Conditions. Journal of Mathematical Analysis and Applications, 236, 94-124. Bai, D. and Xu, Y. (2005) Existence of Positive Solutions for Boundary Value Problems of Second-Order Delay Differential Equations. Applied Mathematics Letters, 18, 621-630. Bai, D. and Xu, Y. (2005) Positive Solutions of Second-Order Two-Delay Differential Systems with Twin-Parameter. Nonlinear Analysis, 63, 601-617. Castro, A. and Shivaji, R. (2000) Evolution of Positive Solution Curves in Semipositone Problems with Concave Nonlinearities. Journal of Mathematical Analysis and Applications, 245, 282-293. Hai, D. and Shivaji, R. (1998) Positive Solutions of Quasilinear Boundary Value Problems. 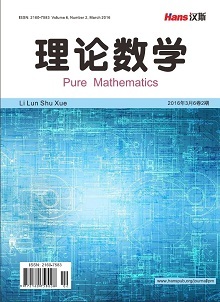 Journal of Mathematical Analysis and Applications, 217, 672-686. Hai, D. and Shivaji, R. (2004) An Existence Result on Positive Solutions for a Class of p-Laplacian Systems. Nonlinear Analysis, 56, 1007-1010. Ma, R. (2003) Multiple Positive Solutions for a Semipositone Fourth-Order Boundary Value Problem. Hiroshima Mathematical Journal, 33, 217-227. Maya, C. and Shivaji, R. (1999) Multiple Positive Solutions for a Class of Semilinear Elliptic Boundary Value Problems. Nonlinear Analysis, 38, 497-504. Bai, D., Henderson, J. and Zeng, Y. (2015) Positive Solutions of Dis-crete Neumann Boundary Value Problems with Sign-Changing Nonlinearities. Boundary Value Problems, 1, 231.